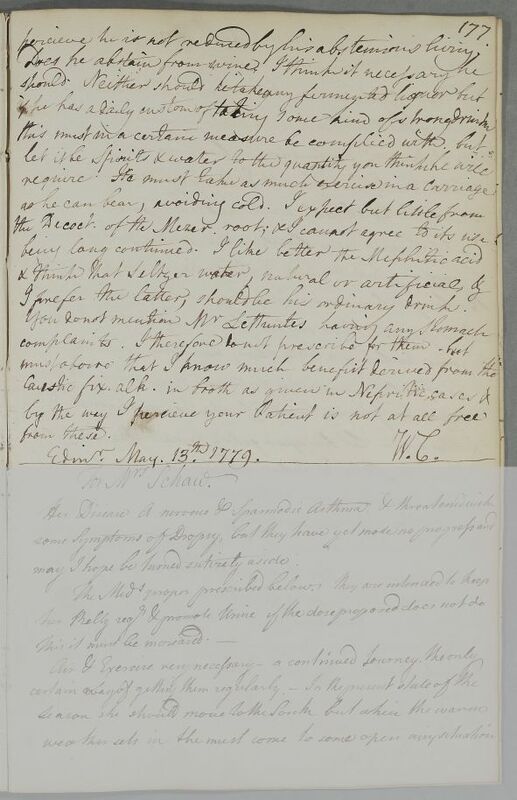 Reply, 'Dr Jacob and Mr Lettrente', concerning Letturent himself and an unnamed patient. 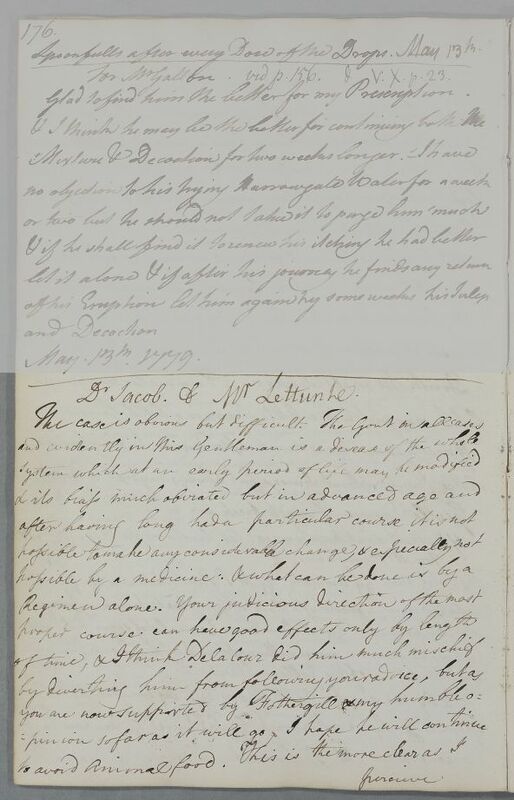 Summary Reply, 'Dr Jacob and Mr Lettrente', concerning Letturent himself and an unnamed patient. Case of a male patient of Dr Jacob at Wexford, a lawyer who suffers from gout. Case of reverend Richard Lettrente. I prefer the latter, should be his ordinary drink.